Adjusting for daylight saving time in Do-More PLC. Canada Daylight Saving Time begins at 2:00 am local time on the second Sunday in March. 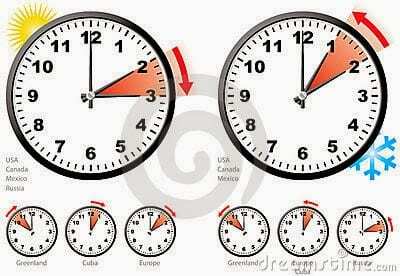 On the first Sunday in November areas on Daylight Saving Time return to Standard Time at 2:00 am local time. When Daylight Saving Time begins turn your clocks ahead one hour. This is what happens in most parts of Canada. There are several methods in the Do-More PLC to account for Daylight Savings Time. You can use the internet time clock, manual adjustment or use an internal bit to set daylight savings time. Since websites for internet time may not always be reliable and we do not want to wake up at 2 am in the morning to set the real time clock, we will use the internal bit method. Set this bit ON to add one hour to LocalTime to account for Daylight Savings Time. The first line of code will check for the 3rd month (March). Then ensure that the day is between 8 and 14 so that we are viewing the second week. Next make sure the day of the week is 0 (Sunday). Finally it will check to make sure the hour is 2 (2am). The ST768 $SummerTime will then be turned on to add one hour to the real time clock in the PLC. The second line of code will check for the 11th month (November). Then ensure that the day is less than 8 first week. Next make sure the day of the week is 0 (Sunday). Finally it will check to make sure the hour is 2 (2am). The ST768 $SummerTime will then be turned off to subtract one hour to the real time clock in the PLC. 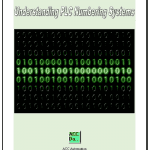 Adding this code to your existing logging information in the PLC can be helpful when determining the correct time. P.S. In the contact section, send me a email and I will send you a link for the download of this code. The <html> is at the start of the file and the </head> is at the end of the file. These tags all have to have a start and end. The ‘/’ indicates the end of the tag. The <head> is used to place the information for the web page. The refresh will load the page after 300 seconds (5 minutes). This way the information will always be the latest. Title is used to label the page. This is the information at the top of the browser. 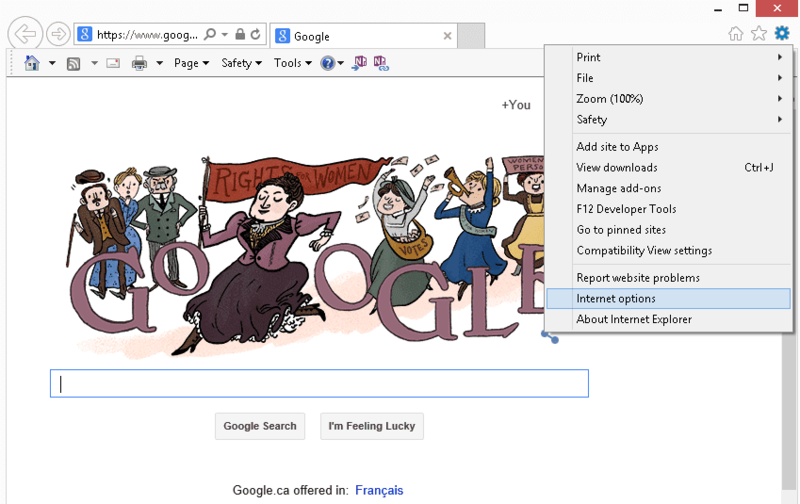 The SHORTCUT ICON is used for the icon at the top of the browser near the page address. 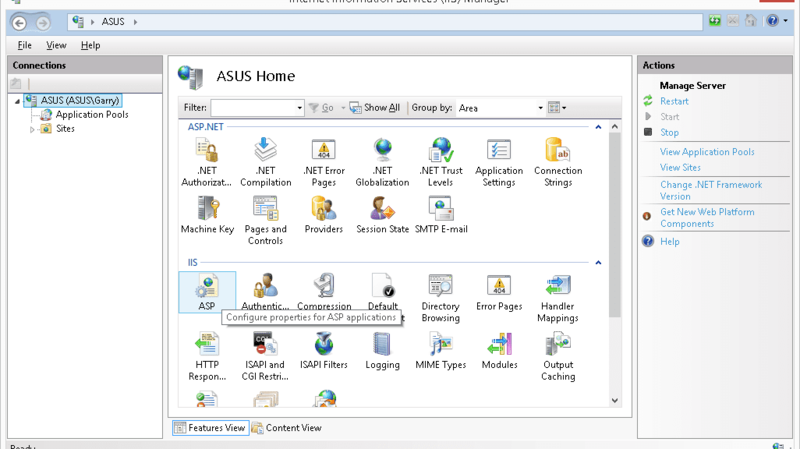 ActiveX Data Objects (ADO) is used to access databases from your web pages. ADOVBS.inc is a file that has all of the ADO constants defined. Be sure to add this file in your root web application directory. The <% and %> symbols indicate the start and finish of VBScript in the page. We dimension our variables for StartTime and EndTime. These will be used to determine how long our script took to execute. We dimension the variables that are used for the connection to the database file. We set up the connection to the database and determine what information we need to retrieve. Using getrows will allow us to execute the Select command and retrieve all of the information in one pass from the database. This is the quickest method to get the information out quickly. We now write the information from the database to the page. The EndTime is now set and the total time it took for the process is displayed. 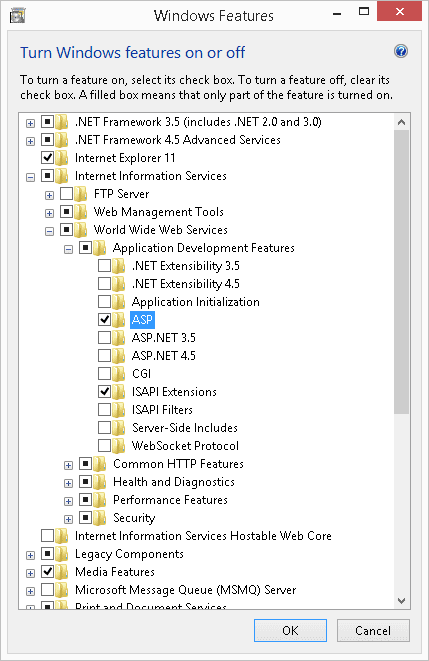 Now that you have information into the database and IIS running, you can display the data in various ways. This ends our robust logger design. For the complete PLC program, VB source code and web page file please send me an email and ask for the ACC Robust Logger Program. I will be happy to email you the information. You can select the 32 bit or 64 bit version that matches your computer. Note: If you have office installed on your machine already then you probably will already have this file. ActiveX Data Objects (ADO) is used to access databases from your web pages. ADOVBS.inc is a file that has all of the ADO constants defined. 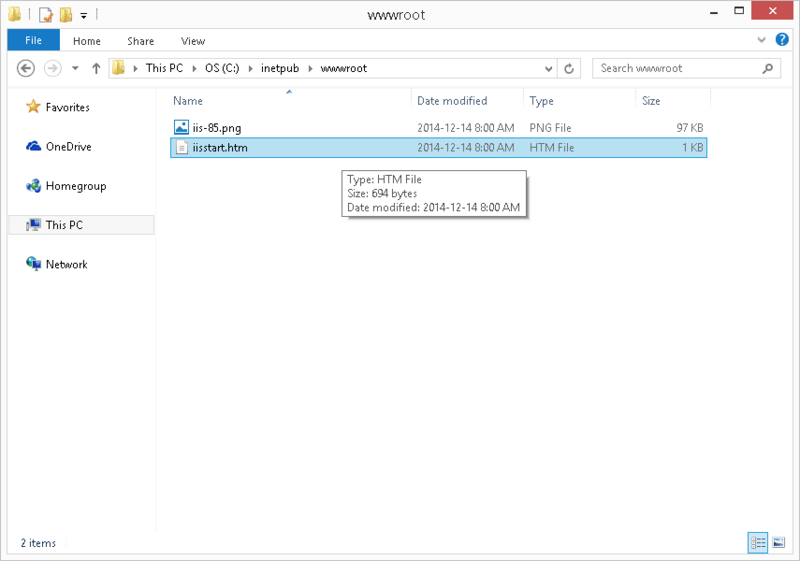 Be sure to add this file in your root web application directory. How to add this code to a web page is shown in the sample code below . 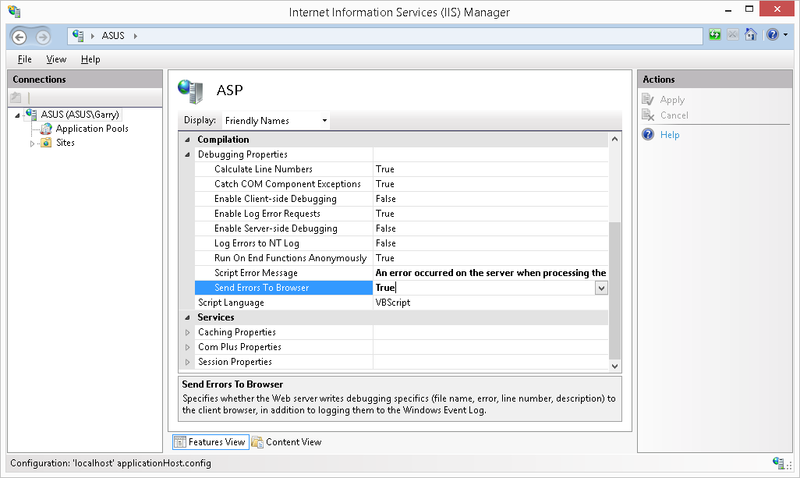 Lets set up ASP on IIS to display any error messages to our browser. 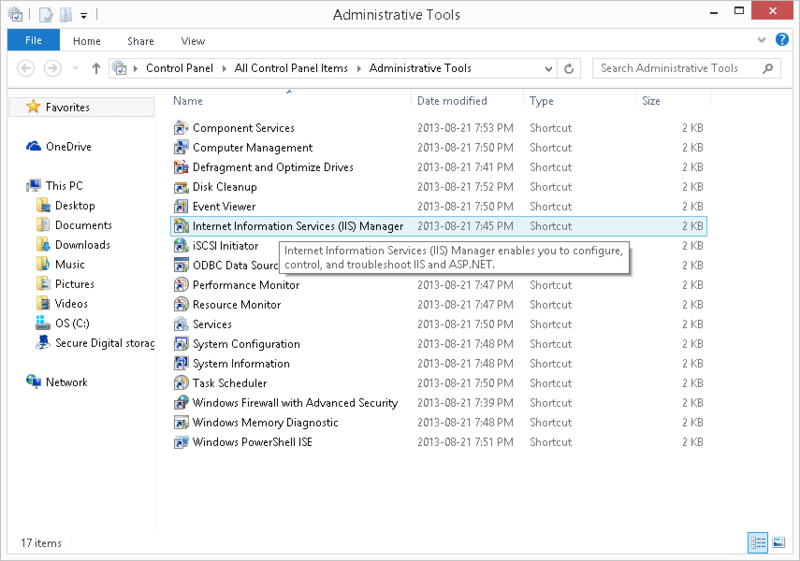 Call up Control Panel and then goto Administrative Tools. 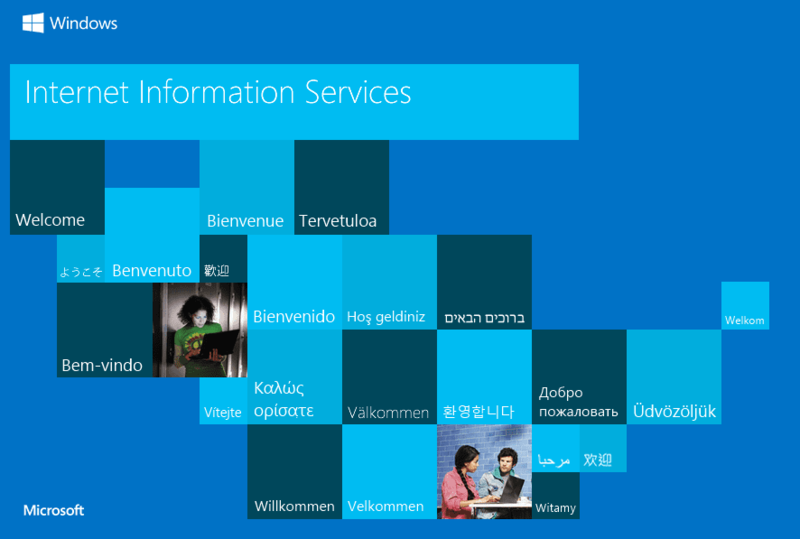 Call up Internet Information Services (IIS) Manger. 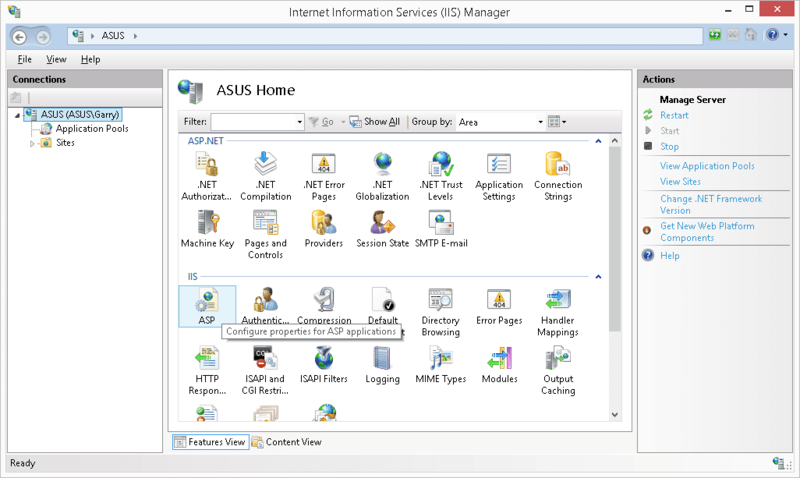 From IIS Manager, double click on ASP under IIS. Expand Debugging Properties and change the Send Errors To Browser to True. 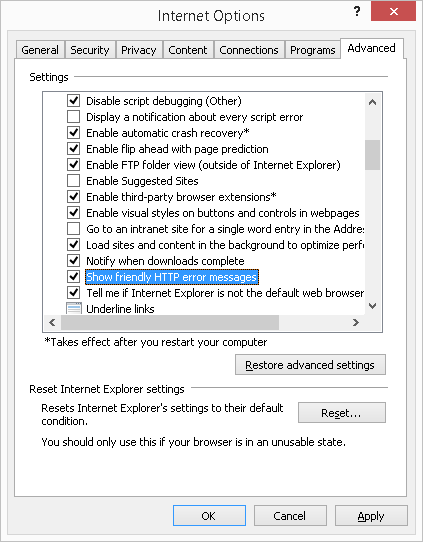 Lets also ensure that your browser is set to display the error messages in internet explorer (IE). Call up Internet options from the main settings. Click the setting for ‘Show friendly HTTP error messages’. This will ensure that the error messages show up in your browser. There are also a great number of online editors that you can visual see what your page will look like while developing your code. Place this AccRL.asp file into the root directory of our web server. Call up the page though our browser (http:\\localhost\AccRL.asp) and the following output will be seen. In part 12 we will break down the ASP code and modify. For the complete PLC program, VB source code and web page file please send me an email and ask for the ACC Robust Logger Program. I will be happy to email you the information. We have come a long way. 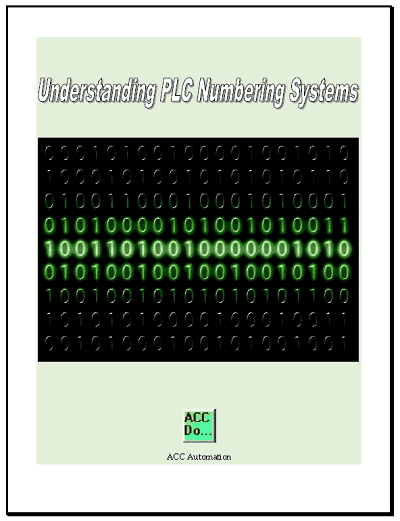 The PLC program has been written. 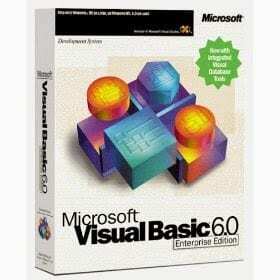 The visual basic program has been written. Information is now being collected from the Do-more PLC via Modbus TCP and stored in a database using visual basic. The next step is to deliver the information on the network. We will do this by installing the Internet Information Services. (IIS) This is a group of internet servers that include a Web or Hypertext Transfer Protocol server (HTTP) and a File Transfer Protocol server (FTP). IIS will allow us to connect the physical hardware to the data. This could be desktop computers, laptops, tablets, cell phones, watches etc. The advantage of using HTTP is that we can share the information to all of these devices without having to be concerned over the operating system of each of them. As long as they can display a web page we are good to go. 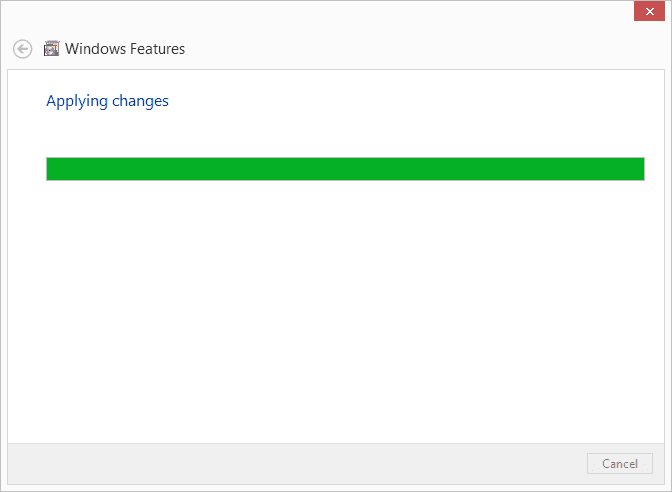 Active Service Pages (ASP) will be installed at the same time. 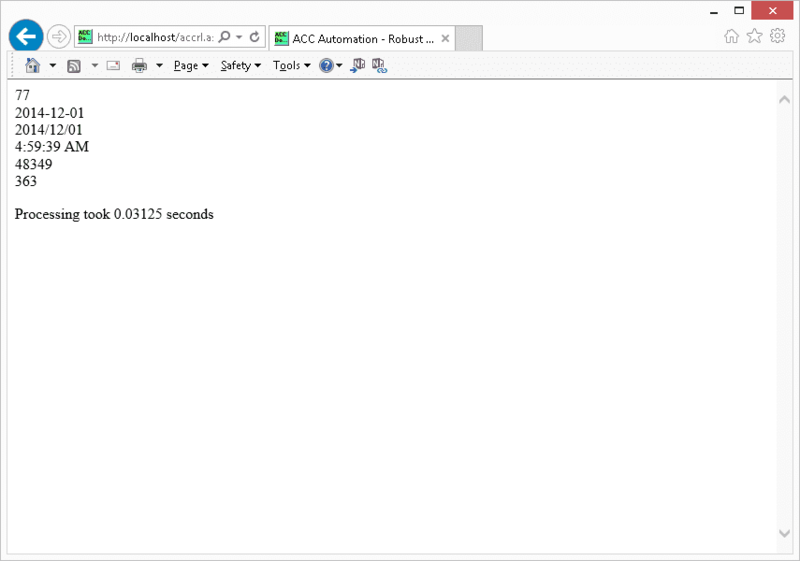 This is a program that will run scrips at the server before delivering the HTML code to the browser. It is similar to CGI and Perl but is simpler and faster. We will install this on a Windows 8.1 machine. Call up the Control Panel. Swiping in from the right and searching for “control panel”. 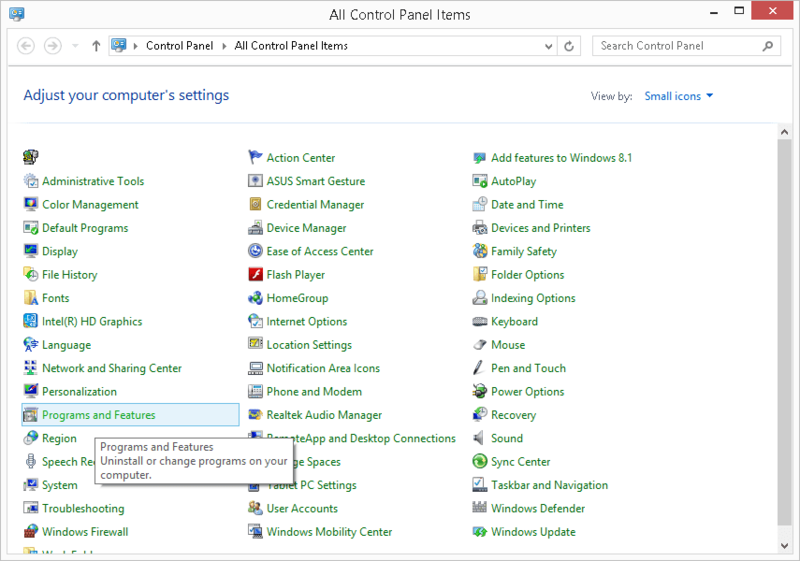 Win + x will call a menu to select the control panel. Select ASP after expanding Internet Information Services / World Wide Web Services / Application Development Features. This will select all of the other options. 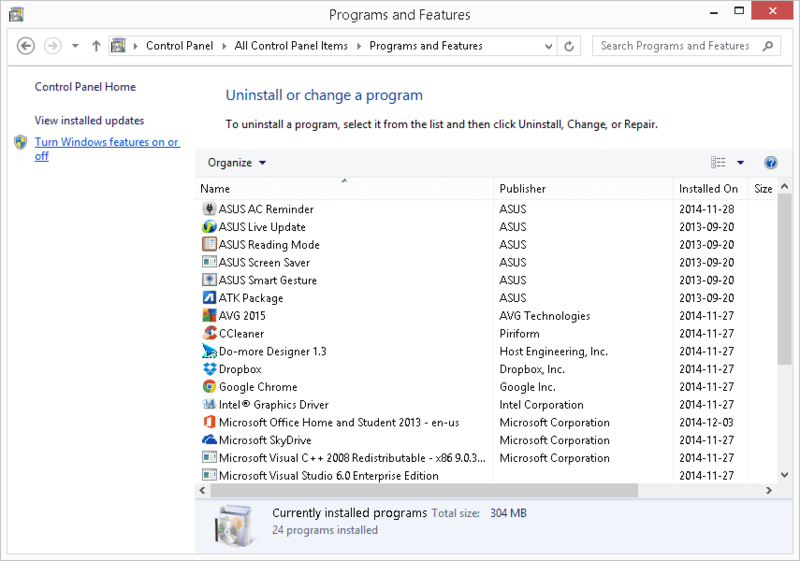 Hit OK to install the services. 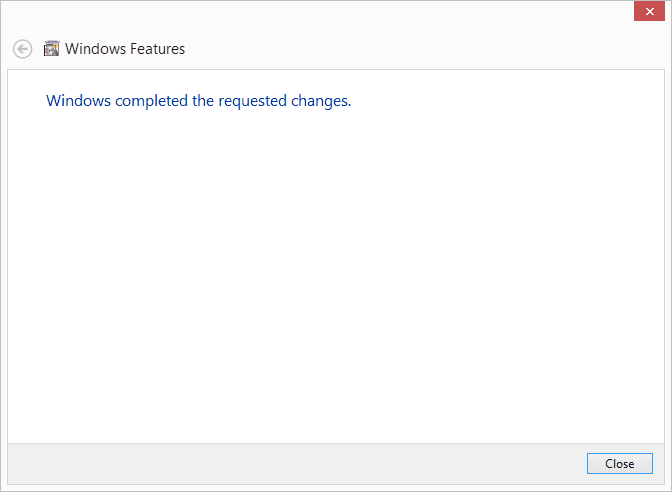 We now have IIS installed. 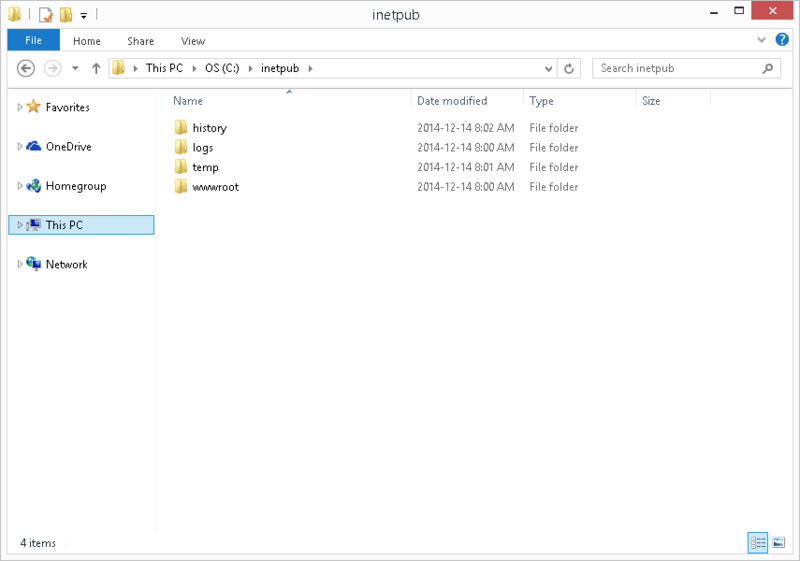 Under the following default directory you will find the location to put your web pages. 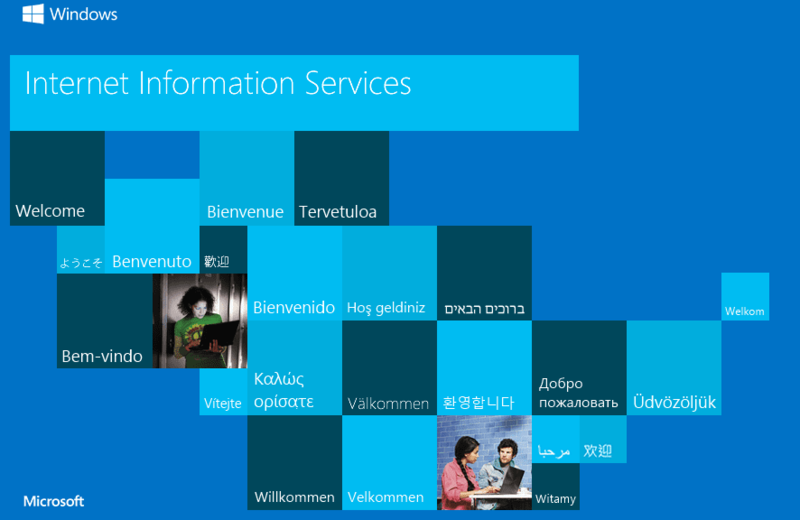 If you call up the iisstart.htm file in this directory it will call up a page from Microsoft to explain the IIS web service. 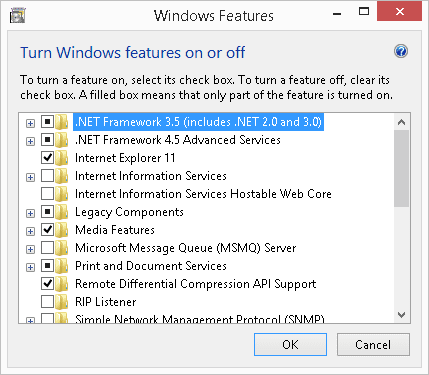 Installing IIS on windows 7 and XP is very similar to the above procedure. Windows 98 you had to install a personal web service (PWS) and then ASP separately. This site will walk you through ASP.